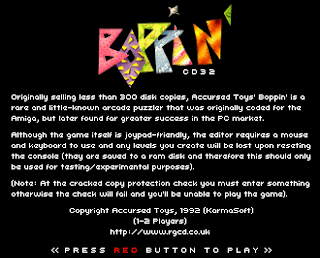 Originally selling less than 300 disk copies, Accursed Toys' Boppin' is a rare and little-known arcade puzzler that was originally coded for the Amiga, but later found far greater success in the PC market. As well as featuring a particularly zany plot, the game is quite an original blend of platformer and logic puzzle, and it's clearly the lack of advertising that caused this otherwise decent little game to flop back in 1992. Designed to be run from either hard disk or floppy, Boppin' comes complete with a fully integrated level editor, but of course its function is limited on a CD32 due to the read-only media it uses. 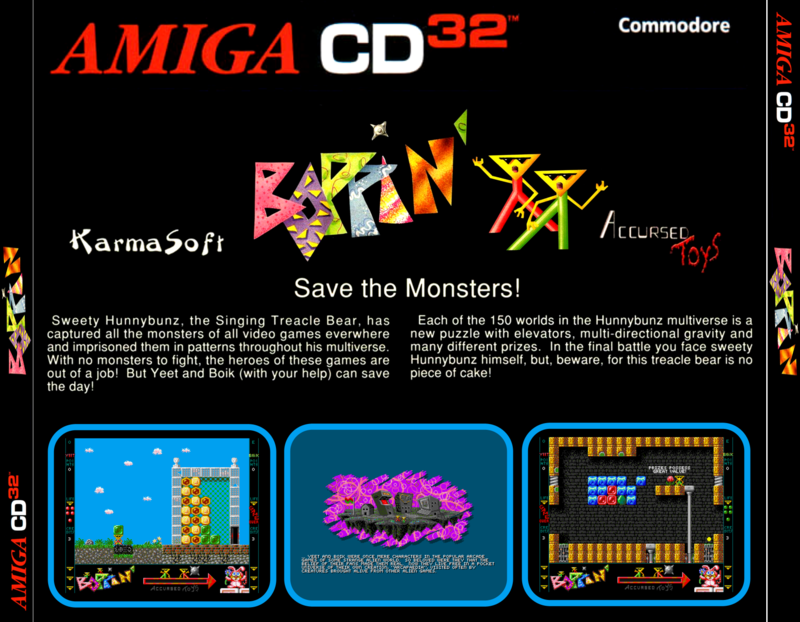 Although the game itself is joypad-friendly, the editor unfortunately requires a mouse and keyboard to use and it's also worth noting that although you can save and play edited levels, any levels you create will be lost upon reseting the console (they are temporarily saved to a ram disk and therefore this should only be used for testing/experimental purposes). 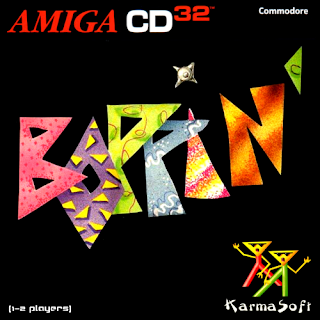 That aside, Boppin' features a total of 150 levels to beat, so there's more than enough puzzles to keep you entertained without having to resort to creating your own. 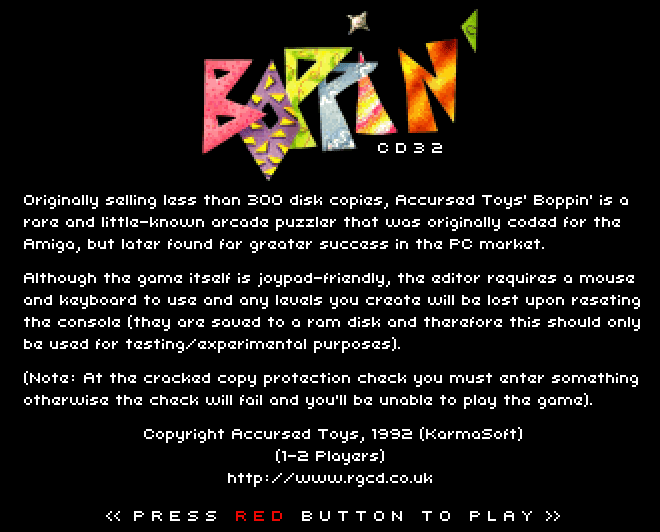 (Note: At the cracked copy protection check you must enter something (even if it is just a single character), otherwise the check will fail and you'll be unable to play the game).